The flames will illuminate the moat for the week leading up to Armistice Day. London commemorated the outbreak of World War 1 by filling the Tower of London’s moat with a sea of poppies. In a neat bit of symmetry, Armistice Day will be celebrated in the moat too – with the addition of a sea of flames, burning into the night. Beyond the Deepening Shadow, as the installation is named, will illuminate the Tower from November 4th, bringing another moving tribute to our city. Designed by Tom Piper, one half of the team behind the poppies, the flames will burn for eight nights, leading up to Remembrance Day on November 11th. 10,000 torches will fill the moat, surrounding the Tower in a river of flames that will be free to view. The display will begin each evening at 5pm, when the Tower lights go out and The Last Post sounds. 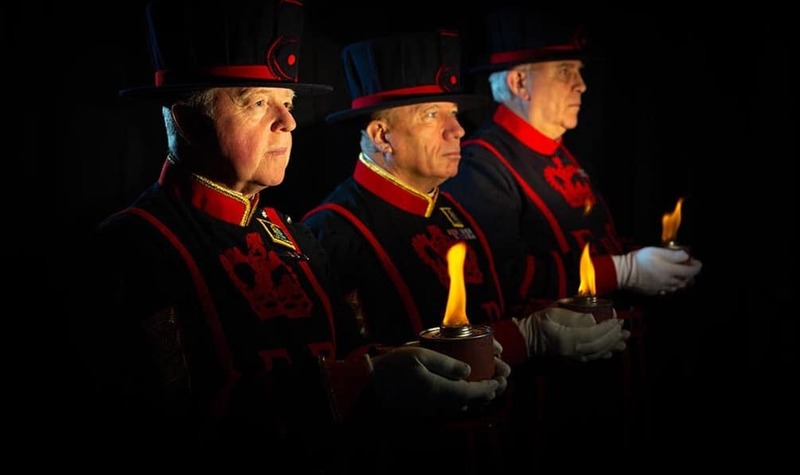 Then, a team of Yeoman Warders and volunteers will move through the moat, lighting each torch until the whole moat is ablaze. The result should be rather stunning, especially when paired with a specially-designed piece of music, featuring words from ‘Sonnets to a Soldier’, that will play during the installation. The flames are set to burn for roughly four hours per night – at 9pm, they’ll die down and the lights will go back on. Expect the crowds to flock to this moving act of remembrance when it opens next month. Find the installation at the Tower of London, EC3N 4AB, from November 4-11th, 2018.